If you are familiar with any type of fishing, then you have probably heard of fly fishing. However, many people have never heard the term. So what is fly fishing? And what are the best ways to fly fish? This article will explain all about fly fishing while offering some helpful tips that you can use during your fly fishing trip. Take along your buddies and enjoy your day. After reading this article, you should gain some insight into the best ways to fly fish. Fly fishing is a specialized angling method of fishing where an artificial fly is used as bait. There is a fly rod, fly reel and other specialized weighted equipment used by the fly fisherman. There is a specialized technique that must be used with fly fishing in comparison to other types of fishing. Fly fishermen use artificial flies that are tied by hand as bait to lure the fish to strike. WHAT TIME OF YEAR IS BEST FOR FLY FISHING? Many fly fishermen are looking to catch trout during their fly fishing excursion. The Trout are available any time of the year, depending upon the temperatures in the water. However, the best time that experts suggest to go fly fishing is during the late springtime. It is suggested that this is when the trout are more in abundance and the time of year that you can also catch the larger trout fish. Of course, the time that you decide to go fly fishing will be dependent upon the type of fish you want to catch and the waterways that you want to visit for your fly fishing excursion. * When it comes to the best techniques for fly fishing, reading this article will certainly help. If you know someone who does fly fishing, then, of course, getting tips and advice from them is also a great idea. And of course, you can always do research at the library or on the internet to find out more about fly fishing. Fly fishing basics guide the beginners on the main things needed in fly fishing. In order to get started, you must first determine the type of fish you want to catch and the type of waterway you want to venture into. * Get your fisherman’s license first before beginning to learn how to become a fly fisherman. You must always have an approved fisherman’s license, no matter where you decide to fly fish. 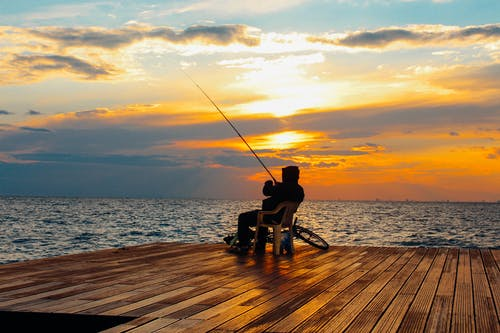 States are getting tougher on getting your fisherman’s license because they want to make sure that you understand the laws and requirements for any type of fishing. * Purchase your fly rod. It is recommended by experts to have either a 6 weight fly rod or a 7 weight fly rod. Your fly rod should be the first item purchased and is the most important in fly fishing. * Purchase your other equipment like the fly reel which should be paired with your fly rod according to the weight. You will also need about one hundred yards of fly line backing on your trip. If you have a 7 weight reel, you should select a 7 weight fly line. You will also need about 9 to 10 feet of a leader to secure on your fly line. It can either be a knotless tapered leader or you can build your own tapered leader. * Purchase your artificial flies for your fly fishing trip. Since the artificial flies are used as bait or lures they are very important. You may use the two most common of saltwater flies or freshwater flies. These artificial flies are placed on the fly rod’s hook and then placed into the freshwater or saltwater to lure the fish to strike. * Purchase line snips which help to make quick leader changes and fly changes. The line snips are more like very sharp scissors and are called shears and are used to cut sheet metal. The line snips allow you to cut the very thick cords used when fly fishing. * Purchase forceps for helping to release the fish from the hook after being caught. Forceps can also be used to barb down the hook for easier catch and release. Forceps are the handheld hinged instruments that are used to grasp and hold what you need to be held in place so that you can easily release your fish from your hook. * Buying a great pair of polarized sunglasses which help to decrease the glare of the sun is a great idea. The polarized sunglasses also cut down the glare on the water so that you can see the fish below for an easier and more successful strike. 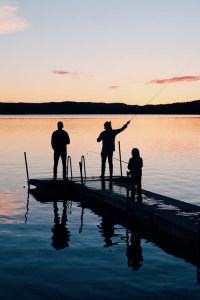 * If you will be fly fishing from a boat or kayak, you will need to wear a United States Coast Guard approved PFD or personal flotation device. Federal law requires that you use these personal floatation devices should you fall into the water or river where you are fishing. These flotation devices can keep you safe in the river waters while help comes to pull you to safety. 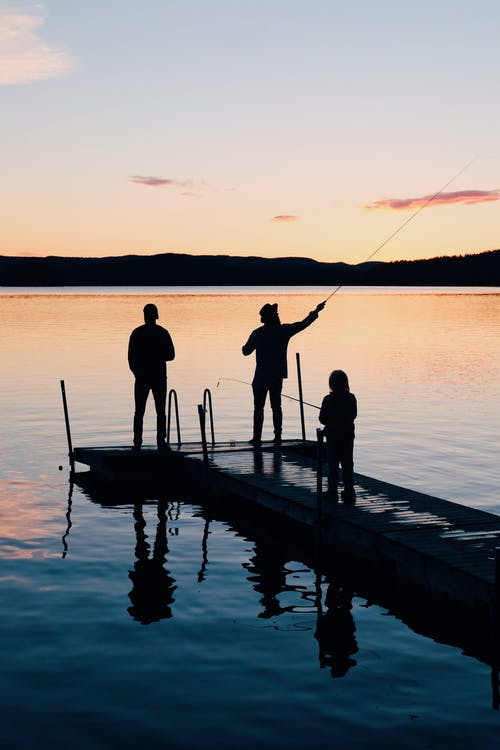 As you begin your fly fishing trip, you will begin to understand everything that this article is advising you about fly fishing. As you use these common techniques, the art of fly fishing will become more and more comfortable and enjoyable for you.